The Highbury is made with American made satin, which dyes to a rich, vibrant and even color. Highbury is the first in the American Duchess line to use this fine satin. 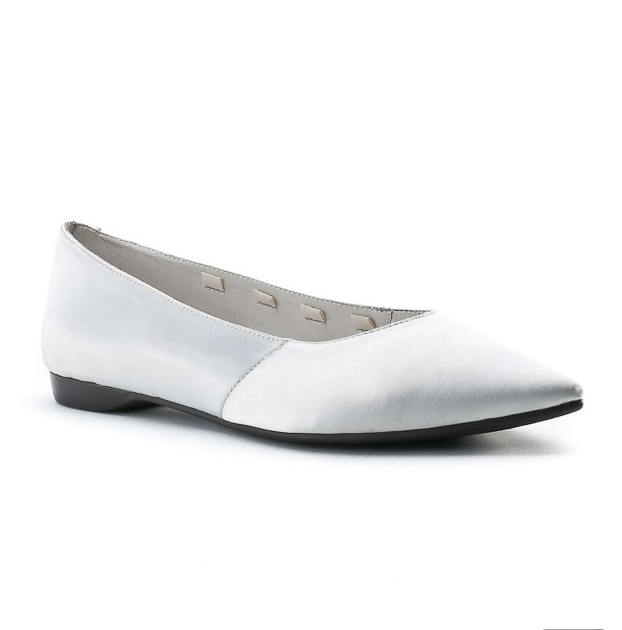 The shoe is lined in leather with a flat man-made sole and subtle spring heel. For information on how to dye your Highbury shoes, see Lauren's video below. The Highbury is such a versatile shoe, with interior loops to add lacing ribbons, which can be changed out to suit your dress. 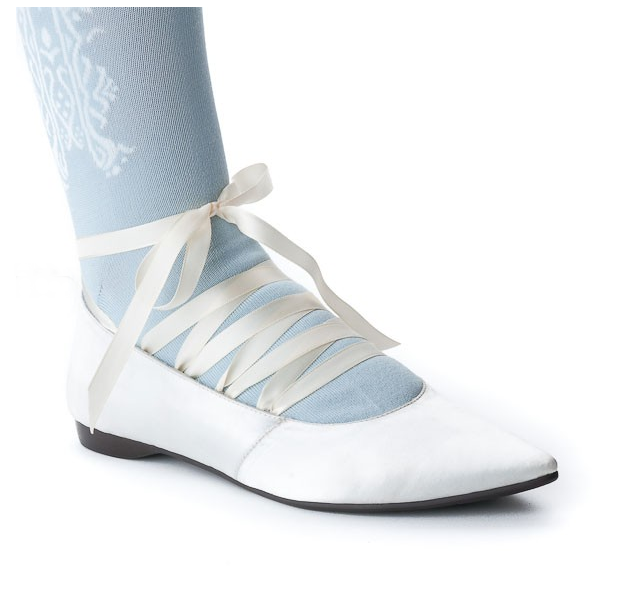 This shoe is historically accurate for costumes from 1790 through 1810 with its pointed toe, side seams and high vamp. Highburys have been on pre-order this month and will be available in the shoe shop this summer but if you absolutely can't wait for a beautiful regency shoe, also check out the Pemberley Regency Slipper in fine dyeable leather with a comfortable low heel, currently on sale. These are truly, timelessly lovely. 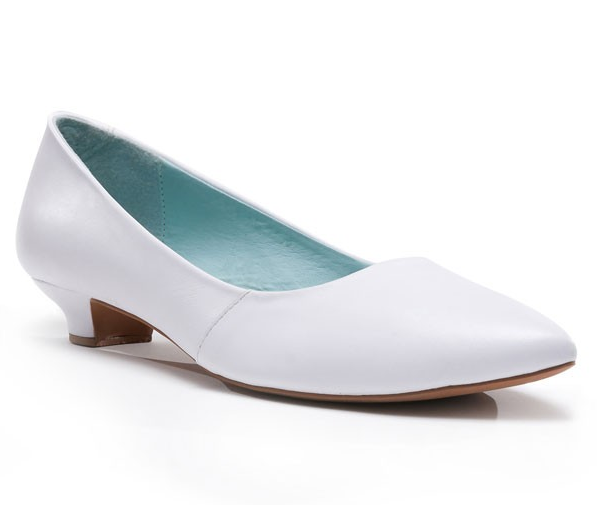 I think a wee kitten heeled shoe like these are so versatile, working splendidly for everything from the office to wedding (as guest or bride). 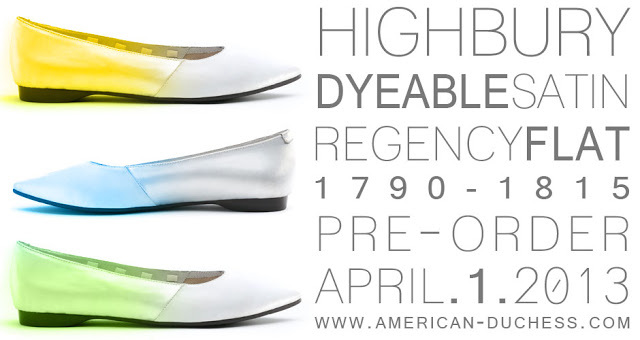 American Duchess excels at incredible footwear, thanks for highlighting another of their terrific offerings. My brother-in-law is getting married in the fall and his fiance is so into Jane Austen and the Regency Era! She also loves the Victorian era as well! Nevertheless, I am going to send her this link! She will be over the moon! 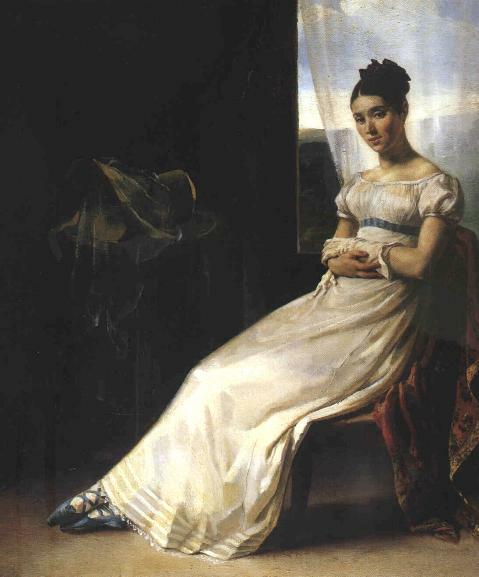 I would also love to extend a hand to you and your friends to join my Jane Austen Contest! We have wonderful prizes and it begins today here are the blogs participating! Hope to see you there!